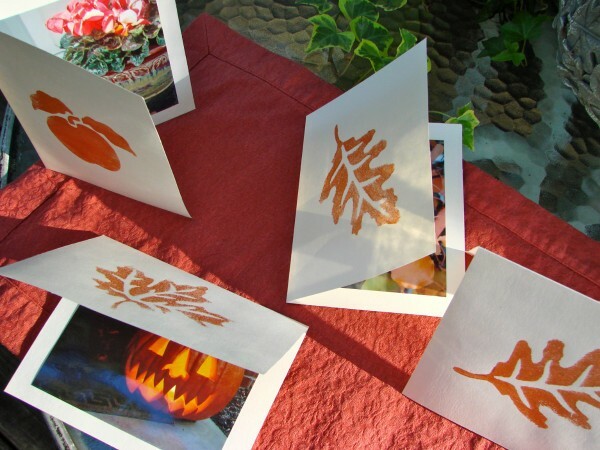 Use a variety of fall motifs and make your own greeting cards. 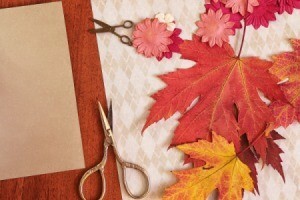 This is a guide about making fall birthday and greeting cards. Using fall colors, and a cutout of a leaf, one can make an elegant birthday card for a friend, celebrating her birthday during the fall months. 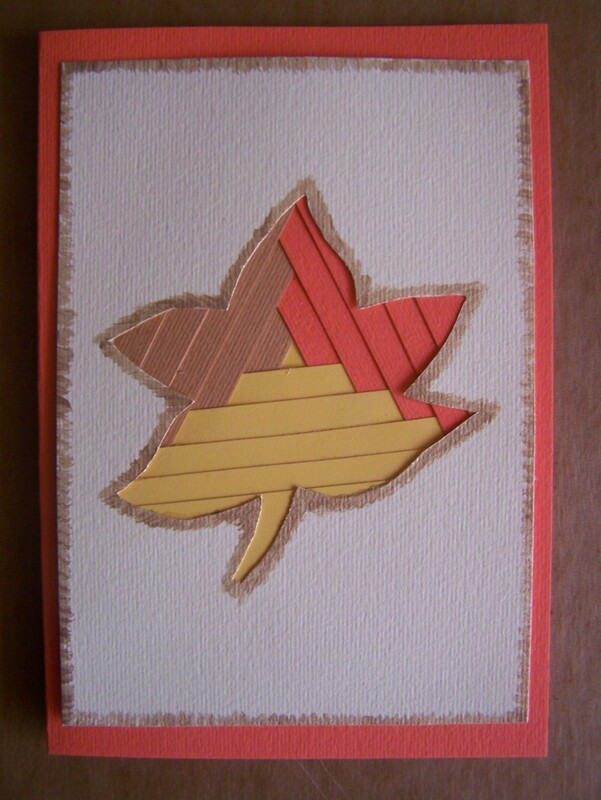 Cut three leaves from different fall-colored papers and create a card with fall sentiments for a friend's birthday. Send a fall message to your friends and family! These cards are so fast, easy, and thrifty! I did these four before breakfast (but after coffee) recently. I found some craft paint and a few fall themed stamps at a craft recycling store. I always keep some offwhite 5 X 7 plain cardstock and envelopes handy. These are often available at half-price at the craft stores. I poured a little of the paint in a paper plate and experimented with how to ink the stamps on some plain paper before applying them to the cards. A sponge paint brush or just a small sponge works best to brush the paint on, using as little as possible so the paint doesn't glop or smear. 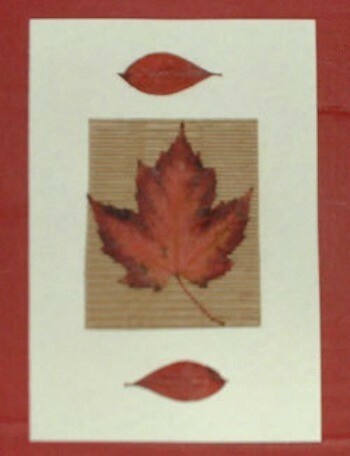 Press down on the card with the stamp, and you have a beautiful fall card. I like to add my own photo prints to the inside of the cards for extra color. Beautiful handmade cards for about a $0.20 investment each. 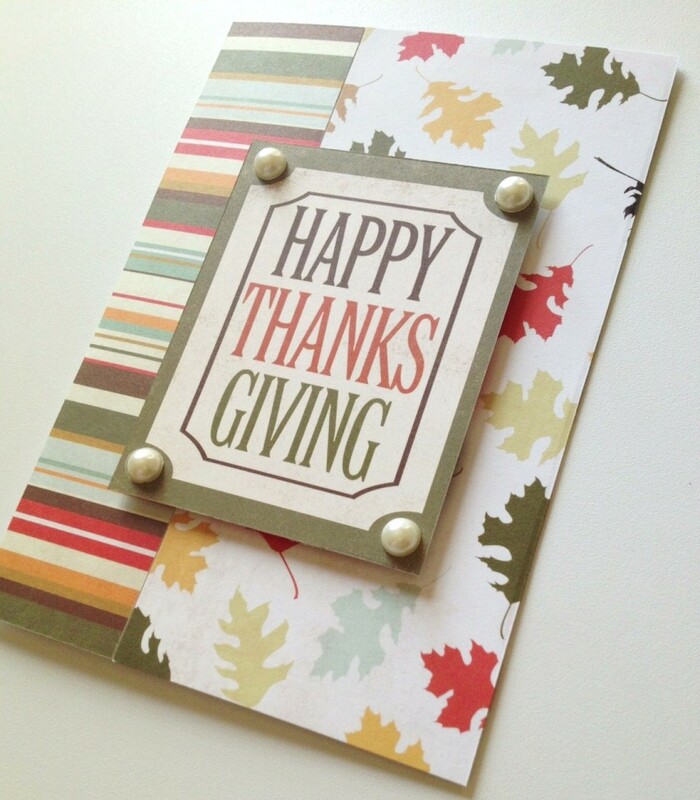 Celebrate the Thanksgiving holiday with this handmade card and gift bag. Maybe take the time to send this as a thank you to your dinner hostess or someone you are thankful for. These cards make frugal use of all those leaves carted home and pressed in books in late October. They are reborn again in a pretty set of stationery cards for correspondence with loved ones or as a gift for a friend who loves to write. Brighten a loved ones day at the start of this holiday season with a lovely card and gift bag. 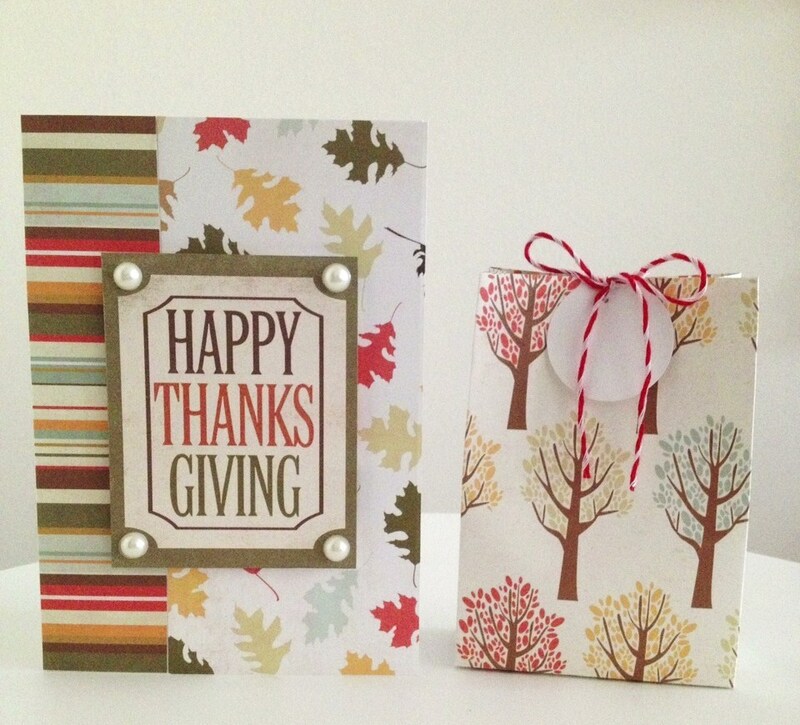 Here is how to make a handmade happy Thanksgiving card and gift bag. 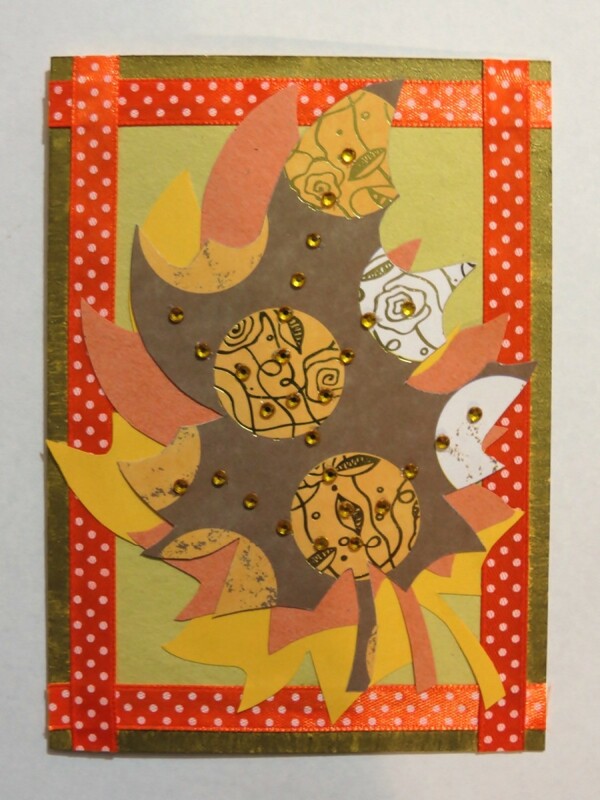 For someone with an autumn birthday, you can make a fall themed birthday card to accompany your gift. Make a homemade fall birthday card for someone special in your life.